Ever wished you could invest into the Dragon Economy? The Stock Exchange of the world’s most populous country has been made available to the Indian Investor courtesy the Benchmark Mutual Fund (BMF). BMF is an exchange traded fund on the Hang Seng Index, the primary index of the Hong Kong Stock Exchange. The Indian Equity Scene has opened up many new avenues for the Investors in recent times. Interest Futures were launched sometime back followed by the Benchmark IPO Index. With the introduction of Benchmark Mutual Fund, Indian investors now have a chance to take a shot at the Chinese companies. 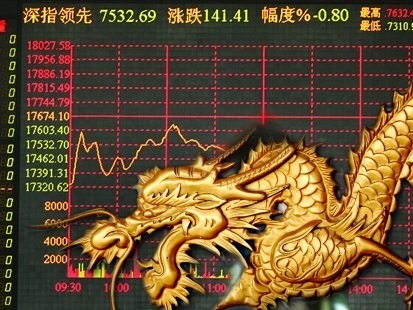 The Chinese Stock Exchange has always enjoyed a good run barring last year which saw all global markets crash. China’s main composite index Shanghai Composite Index trades at a P/E ratio of 24-25 compared to 14-15 times for the BSE Sensex. Though this makes the Chinese markets a little expensive, but is also a sign of better investor sentiments. It is also noteworthy that Chinese Stock market, the best performing in the world in 2009, crashed in August and is currently down by half from the November 2007 peak. The timing of the BMF could not have been better. Investment in Indian Currency is what makes this fund even more simpler & attractive. It will take away the need for complex calculations and the Investor will be able to monitor it just like a normal Mutual Fund. Moreover, with the minimum investment capped at only 10,000 rupees , this will ensure that the retail investor can participate at large. The BMF will surely lend a helping hand in diversifying your investment portfolio. Not only across sectors, but across countries too. The investor will be able to hedge his/her risks in one Index by buying/shorting in the other. Basically, if treaded cautiously this could help in de-risking the portfolio to a good extent. What are your thoughts on the BMF. Will it evoke enough interest from Investor big and small. Will you jump at the chance to invest in the Dragon Economy? Jet Airways Standoff – Who is Right & Who is wrong ? Is the Indian IT Sector set for a Stock Market rebound ?